How to pay for care home costs? Financial Advisers can offer financial advice on care home fee planning for yourself or an elderly parent. Contact Richard Porter, independent financial adviser, St Albans, Hertfordshire on 01727 845500 for a free initial consultation. In this case study Richard Porter, IFA, St Albans, Hertfordshire reviews how to pay for care home fees. The case study is part of our ‘The value of an independent financial adviser’ series. 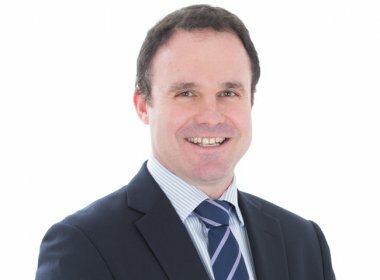 Richard Porter is an independent financial adviser and works with clients in Radlett and St Albans. Richard is a member of our St Albans financial planning team and offers financial planning advice to anyone looking to cover the cost of care home or nursing home fees in the future. 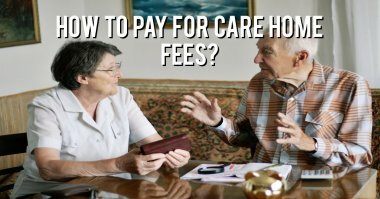 Case Study - How to pay for care home fees? Richard Porter met Mr V from Radlett, Hertfordshire. He wanted financial advice as his father, Mr V senior was 84 and in good health but suffering from dementia. Mr V and his wife had hoped to look after Mr V senior in their home but they realised that his dementia was worsening so the family considered it best that he was looked after in a local care home. Mr V senior had just sold the house he owned in Radlett which was worth £600,000. Below is the estimated cost for Mr V senior to be looked after in a local care home. (50% protection means that if Mr V passed away before 50% of the initial premium had been paid out the provider makes up the difference). Invest £150,000 in an annuity with no indexation or protection. Invest £280,000 in an investment bond that allows 5% withdrawal per year. Mr V is now living nearby his family in a local Radlett care home. The family are happy that the annuity and bond should provide the necessary income to pay for the care home. Mr V and his siblings will continue to meet Richard Porter on an annual basis to review the performance of the investment bond. Please note The Financial Conduct Authority does not regulate tax or estate planning. The value of an investment and the income from it could go down as well as up. The return at the end of the investment period is not guaranteed and you may get back less than you originally invested. Deb Nolan, independent financial adviser, Leeds / Bradford – Understanding your financial entitlements. Simon Prestcote, independent financial adviser, Barnet, North London – Generating an income following a property sale. Neil Homer, independent financial adviser Stafford - Modelling different financial planning scenarios.